The last topics appeared to be my partial questions on something more general... From my research and extensive help from other users (like Bernard) I managed to use newtxmath and newtxtext packages in formatting of my simple document. This is text: $\int$ $y$, $\pi$. But this does not provide the fonts presented in the linked PDF above (namely \pi symbol). I try to use MiKTeX 2.9 with Led editor. Many thanks for helping. 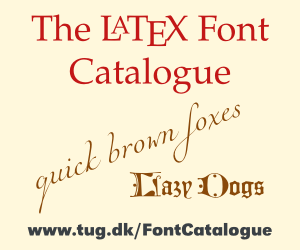 Note that the TeX Gyre Termes math fonts, which are OpenType, are only available for Xe(La)TeX or Lua(La)TeX (yet?). You have to switch to one of these engines if you want to use them. Not the answer you're looking for? Browse other questions tagged tex-gyre-math or ask your own question. OTF Sans font best matching TeX Gyre Termes?